Anne Vanschothorst. Photo: Pjotr van Schothorst. Anne Vanschothorst (The Netherlands – 1974) is a pioneer exploring original minimal/harp (improv.) in subdued chamber jazz and (natural) soundscapes — using overdub and making sound sculptures with 47strings. She received international critical acclaim as an indie composer and producer who records sound on sound stilled mystical landscape music for in-a-room, film, multi-media and spoken word. This new poetic and inventive, edgy sonic universe next to the existing harp planet and music world, indicates that Anne walks off the beaten track. The written note-scores are frequently performed by international musicians and added to their repertoire. The ‘You Play i listen !‘ platform is an ongoing creativity project that is initiated to share Harp and Soul Music performed by others via videos and sound-clouds. 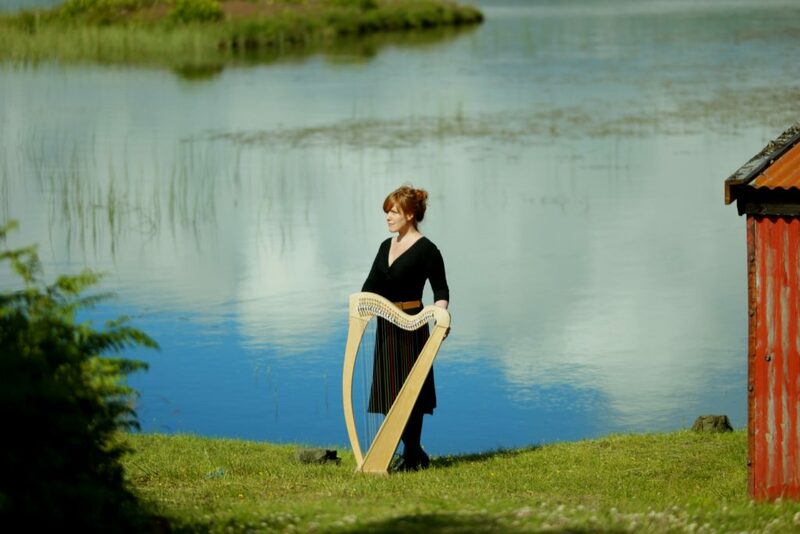 For the indie label Harp and Soul Music she has recorded two albums that are part of a landscape music trilogy. The Big Round / NAXOS (2014) international release Ek Is Eik (i am oak), Beautiful World (Harp and Soul Music 2017). The third album is a work in progress. Authentic and heartfelt music, poetry, visual art, nature and daily seemingly innocent impressions are Anne’s main inspiration to make music and visuals. The moving pictures (harp and soul scapes) are co-produced with photographer and cameraman Pjotr van Schothorst). The landscape music videos are broadcasted on several Stingray tv-channels. Audio productions are placed e.g. in the cinema-movie and national television nature-doc. ‘Living River’, Discovery Communications (Animal Planet, Discovery Channel, TLC ao), an award winning short film ‘Innocent Creep’ featured at Tropfest New York and a GUCCI infomercial. Anne was commissioned to compose and record music for museum Boijmans van Beuningen. “Why” from album Beautiful World (2017), with Recca Sier, voice; Thijs de Melker, keyboard; Anne Vanschothorst, harp. “Terra Incognita” from album Beautiful World (2017) with Thijs de Melker, organ; Anne Vanschothorst, harp.